Posted Jan 24, 2019 by Eds. The noteworthy—and predictable—rebels on American continent were the leftist governments of Mexico and Bolivia. This is very clearly a call for open revolution—note the language: “including the military”. Obviously any coup needs the military backing it to be successful. 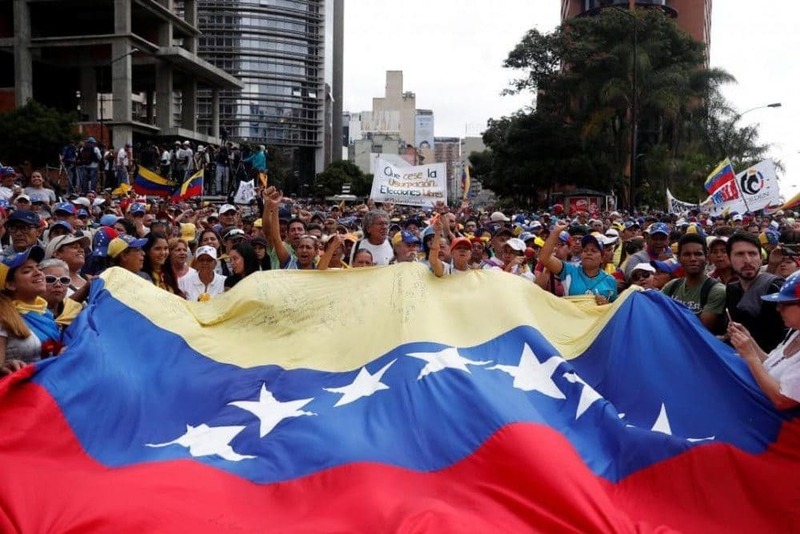 Though there are reports of large protests on the streets of Caracas—both for and against the President—the military have not got involved on the ground so far. Howver, they did release a statement disavowing Guaido and the “dark interests” supporting him. They went on to declare that they stand by President Maduro in support of Venezuela’s national sovereignty. Lacking, for now, the support of Venezuela’s own military the only way the coup can succeed is with military help from a foreign power, the obvious candidates being the US, NATO and Brazil’s new President Jair Bolsonaro—a cross between Pinochet and a used car salesman. He has previously said he would back a military invasion of Venezuela. What the US/NATO/whoever need is a pretext to invade—enter The Guardian et al. The bottom line will be—we NEED to act in Venezuela because Maduro is “massacring” his own people to hold onto power. The same fate awaits Venezuela and Maduro—except Venezuela doesn’t have a super-power on its borders, so the US won’t have to keep the gloves on this time. Venezuela could feel the full force of America’s “humanitarian” armed forces. There are people on the streets—all it needs is one tiny spark, one slight act of violence, and the whole situation will explode.